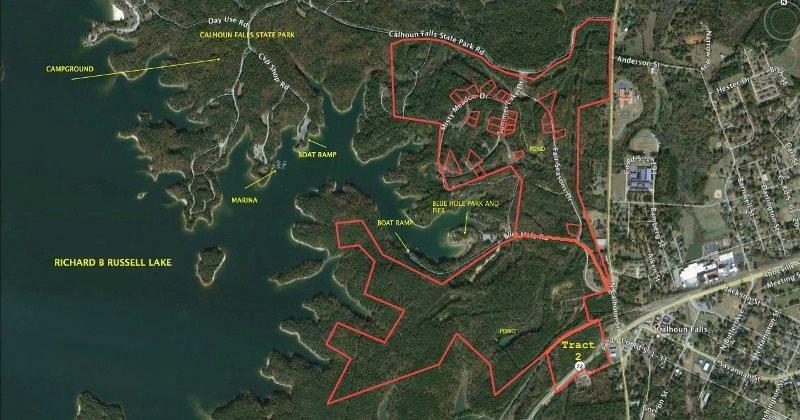 13.8 acres of commercial property on Highway 72 (Russell Lake Blvd) in Calhoun Falls, SC. 1400+ feet of highway frontage. Water and sewer available. Adjoins 7-Eleven. Listing provided courtesy of Joseph Cann of Cann Realty, Llc.